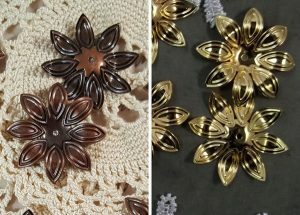 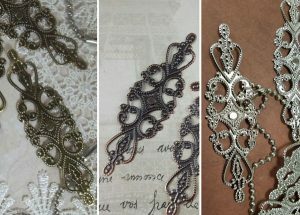 These beautiful copper colored filigree elements are great for anyone interested in jewelry making, scrapbooking, greeting card making, making mini albums, and many other crafts. 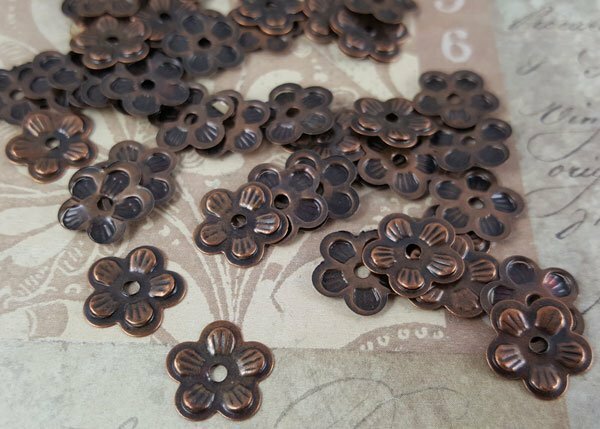 They are perfect for scrapbooking, and can be used as a flower center, an accent to dress up the corner of a scrapbook page, card, or layout. 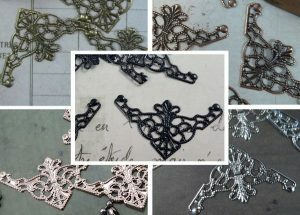 For all the jewelry makers out there – these elements can be used for making earrings, rings, bracelets and even pendants.